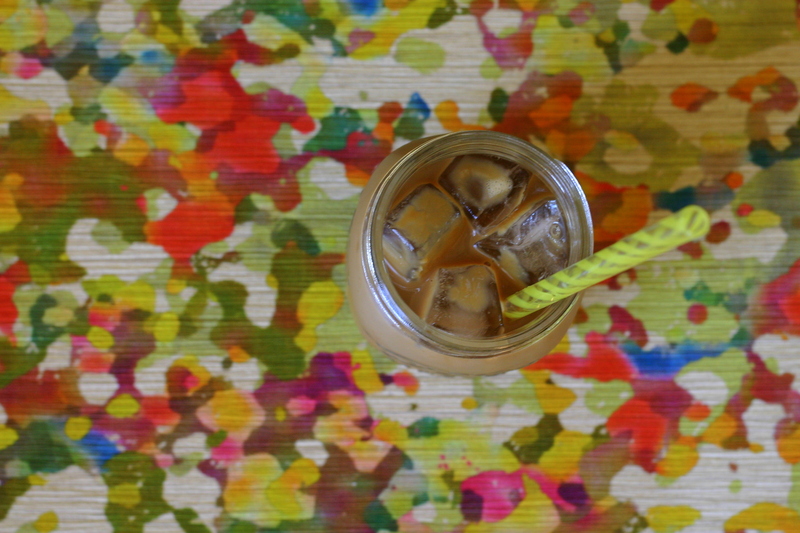 When it comes to iced coffee, I’m convinced that cold brewing is the winning method. Pouring piping hot coffee over ice generally results in a flavorless, diluted mess. That has been my experience anyway. 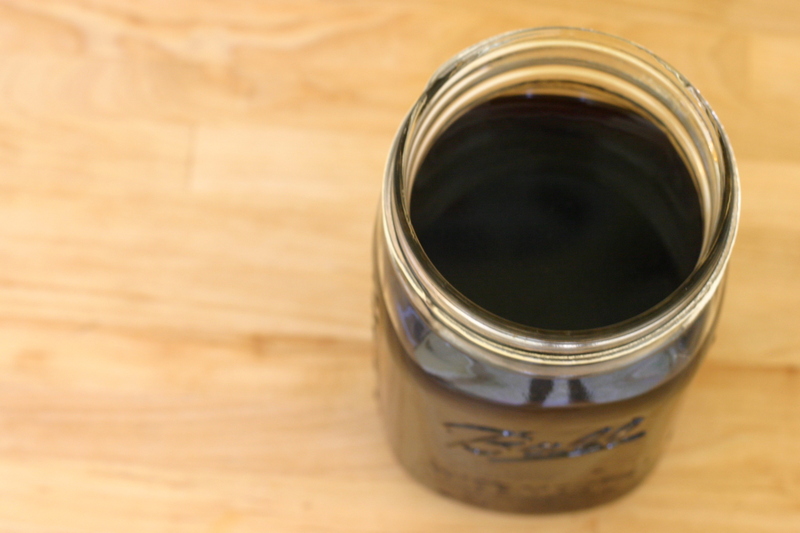 Cold brewing doesn’t require any heat at all–just a little time and patience. 24 hours of patience, in this case. I will spare you from my full blown cold-brewing spiel. (If you’re interested, you can just mosey on over to this post that I wrote last summer from Montana) But I will say that this method works especially well for Vietnamese-style iced coffee, which requires very concentrated coffee to stand up to the sweet condensed milk. Traditional Vietnamese iced coffee is of course brewed using a small metal drip filter, or a cà phê phin. I know I badmouth kitchen unitaskers all the time, but I do own a cà phê phin. Actually, I own four–not gonna lie. I love them! They make the best Vietnamese iced coffee on the planet. They also take for eternity to extract mere drops of glorious coffee goodness from the grinds. It’s basically like watching water boil. Sometimes you just want a little instant gratification, which is why I like to keep a jar of concentrated cold-brewed coffee in the fridge. When you want a Vietnamese-style iced coffee, just bust this stuff out, and mix with sweetened condensed milk, normal milk, and ice. Easy peasy. If you’re entertaining, this is also a great way to prepare multiple iced coffees quickly. On a side note, Trader Joe’s now sells sweetened condensed milk in a squeeze bottle. GENIUS. This recipe is originally from Food & Wine magazine. It calls for 2 ounces (about 4 tablespoons) of sweetened condensed milk, which was a little too sweet for my tastes. I recommend starting out with about 3 tablespoons and adding more to taste. You can always add more sweetness, but you can’t take it away once it’s in there! I think the ratios that Food & Wine magazine used are pretty spot on. But feel free to play around with the measurements until you make your perfect Vietnamese iced coffee. 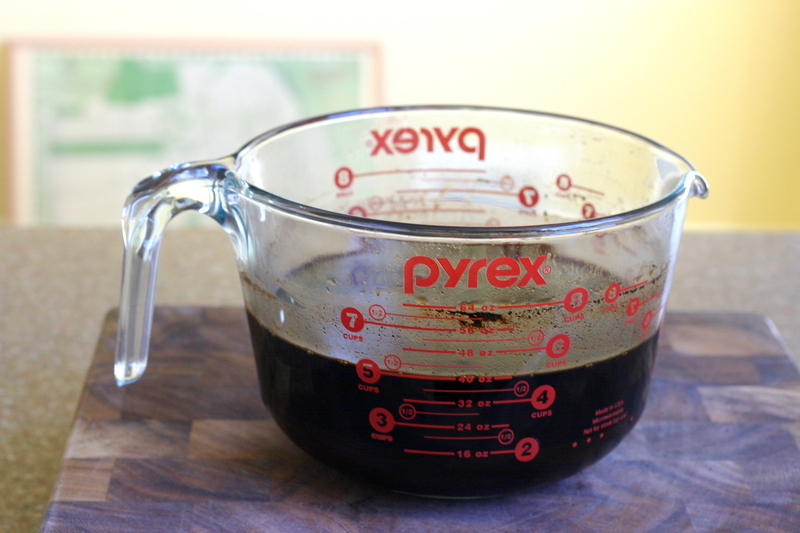 Brew the coffee concentrate: In a bowl, stir the cold water into the coffee. Cover and let stand at room temperature for 24 hours. Strain twice through a coffee filter, a fine-mesh sieve, or a sieve lined with cheesecloth. (Don’t forget to compost the spent grinds!) The concentrate can be refrigerated for up to 1 week in an airtight container. Make the drink: Pour condensed milk into a tall glass. Add the coffee concentrate and milk. Stir well. Top with ice. 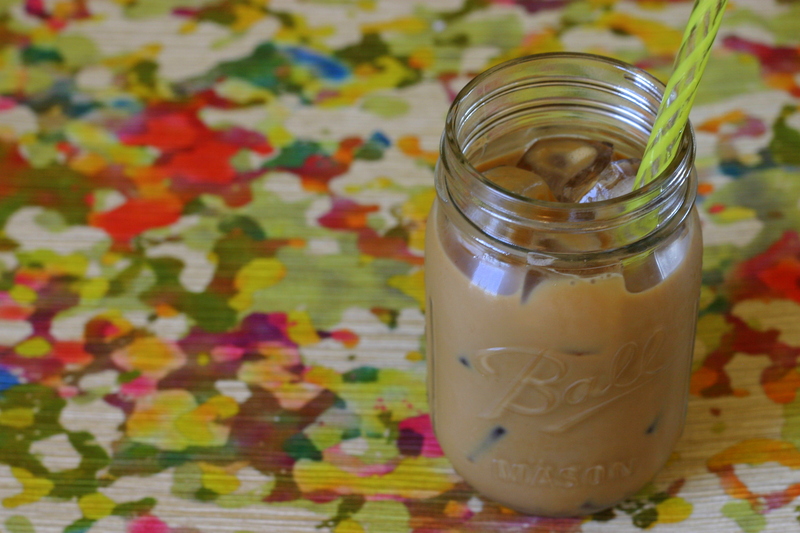 I have been meaning to make your last iced coffee recipe for my husband! 🙂 This just motivates me to try them BOTH!! … how perfect they would be for our muggy days lately! I have nominated you for the Lovely Blog award! Check out this post to accept it! Thanks again for nominating me–it means a lot! 🙂 I hope your husband enjoys the iced coffee! Love it! Perfect for the hot days we are experiencing! 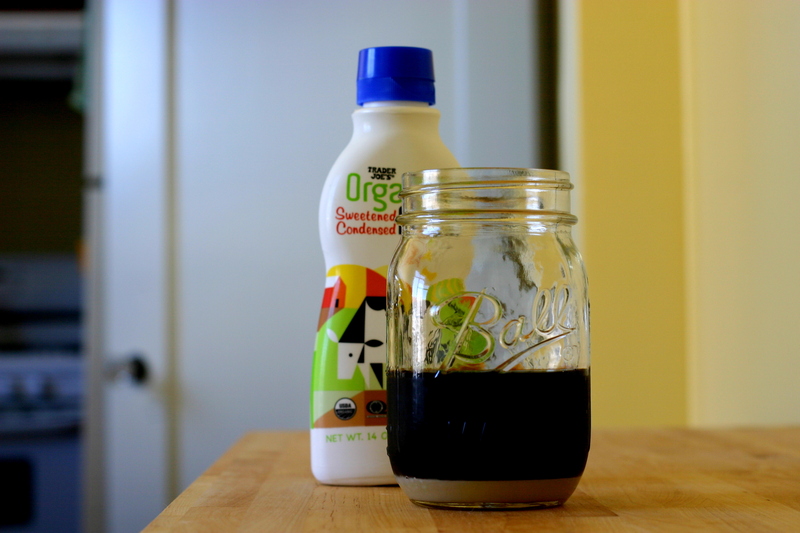 I can’t wait to try this – I keep hearing about the cold brewed method but haven’t tried it, mixing it with condensed milk just sounds incredible right now! Will be trying soon! I hope you enjoy! I love cold brewing because it keeps longer in the fridge and is less acidic than normal coffee. I don’t know if I can ever go back to using my coffee machine for iced coffee! Thanks, Constanze! I’m so glad we were finally able to meet at the graduation party. We should all hang out in SF soon!